Are YOU Movembering? Do you have a Dali, a Chevron or perhaps a Walrus? If your boyfriend/husband/brother/uncle has decided to take part in Movember then you are probably all ready aware of what it is all about. All for a very worthwhile cause, Movember is basically the month of November where men everywhere grow a moustache and get sponsored to do so whilst raising money for charity, or more specifically prostate cancer. It’s such a great way for raising money that more and more men participate in the growing of their moustache’s each year and has gone global over the past few years. In 2010 £11.7 million was raised. So Movember has got me thinking. 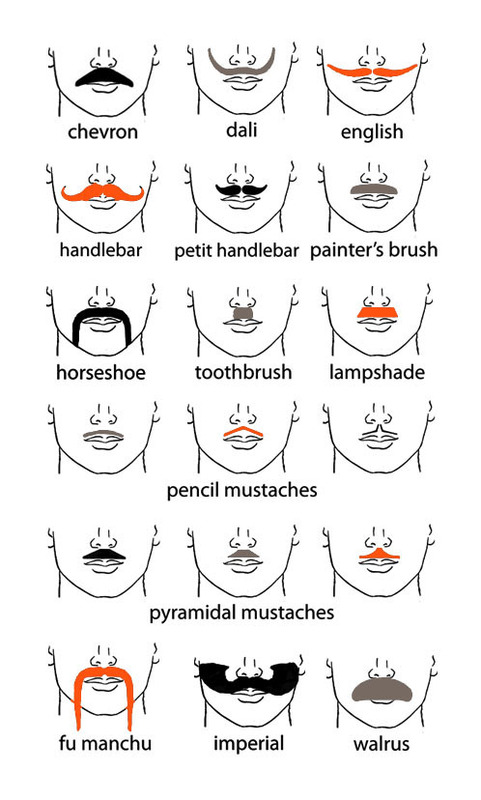 Instead of just posting pictures of your impressive ‘tache on Facebook (and trust me, my News Feed is full of those kind of photos!) why not get Fourerr involved too. After all, Fourerr is an absolute gold mine when it comes to selling whacky stuff – why not grow your moustache as one of your gigs and get sponsorship that way? Don’t forget to send us your Movember and we might well publish it here! Go growing now and let us know which type fits yours! Come’on Guys! Are you having a Dali, a Chevron or perhaps a Walrus! Fill your gig pages with images of your moustache’s progress and see how many gig orders your get – even if you only get three orders, that’s $12 you can donate to your worthy cause. In return for people buying your gig, you could even send them a daily or weekly picture of your progress as well! As a friend of mine recently said: “Movember – a month where all the men look creepy” (!). But ‘creepy’ or not, there is no doubting that growing your facial hair for money is a genius way of raising some funds for charity. So get cracking – it’s only a few days in, so you’re not too late to join in the fun and you will be joining a community of ‘Mo Bros’ that are all in the same boat!